The Electrolux brand name is the gourmet product line for the Frigidaire Corporation. 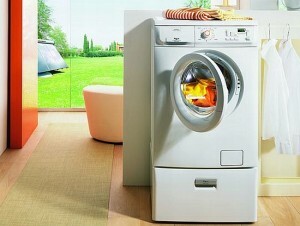 Electrolux manufacturers washers, dryers, refrigerators, cook tops, ranges, ovens, freezers, and trash compactors. At Cody’s Appliance Repair we are factory trained and authorized warranty service for Electrolux Appliance Repair. Cody’s Appliance Repair we provide Electrolux Repair in warranty and out. What that means for you, the consumer, is that our technicians undergo regular training on Electrolux products, so they are up-to-date on all the advances of this manufacturer’s products. We also have access to their Tech Line, which is a direct line to their company, when we need additional information about your repair. Our technicians are also drug and background tested, for your safety and security. If you live in Boise, Eagle, Meridian, Nampa, Caldwell, Star, Middleton, Emmett, Kuna, Garden City, or Horse Shoe Bend, call us today at (208) 938-1066 for Electrolux Appliance Repair; or request service right from our website. Give us a call today. We are here to help!